A major new book about the future of work by two academics launched with a showcase of student entrepreneurship. 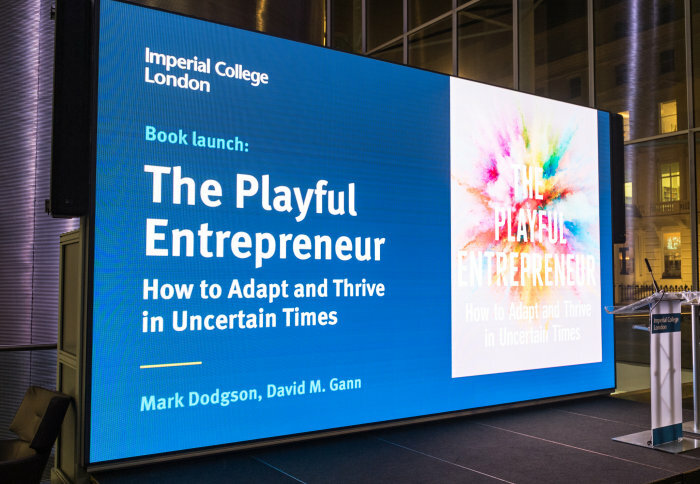 'The Playful Entrepreneur’ by Professors David Gann and Mark Dodgson, both affiliated to Imperial College Business School, makes the case that “incorporating play into work” can help overcome the uncertainty and turbulence that surrounds the modern workplace. As the book launched at Imperial, a group of student and alumni entrepreneurs demonstrated their innovations to an audience of business and academic leaders. 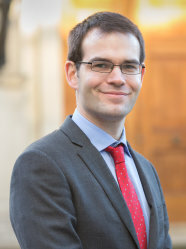 Professor Francisco Veloso, Dean of Imperial College Business School, said the student innovators epitomised "playful entrepreneurship"
Business leader Baroness (Denise) Kingsmill of Holland Park, who recently chaired rapidly growing bank Monzo, spoke about the importance of playfulness and “creative discomfort” to encourage innovation in small and large enterprises. Professor Dodgson, Chair of Innovation Studies at the University of Queensland Business School, looked back on “Doing a PhD here 35 years ago in a dungeon down the road” where he enjoyed a “playful, argumentative, stimulating” student experience that was vastly more interesting than his previous working life. 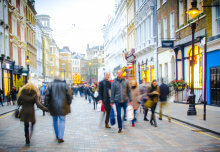 The authors say that we can all learn from entrepreneurs to show fortitude, ambition, craft and grace, to lead more fulfilling working lives – a case they recently made in a blog for the World Economic Forum.